Blogger, Alles Ist Gut/ Mrs. Spider and I seem to be on the same wave length today. While in the garden last night I met this lovely lady. 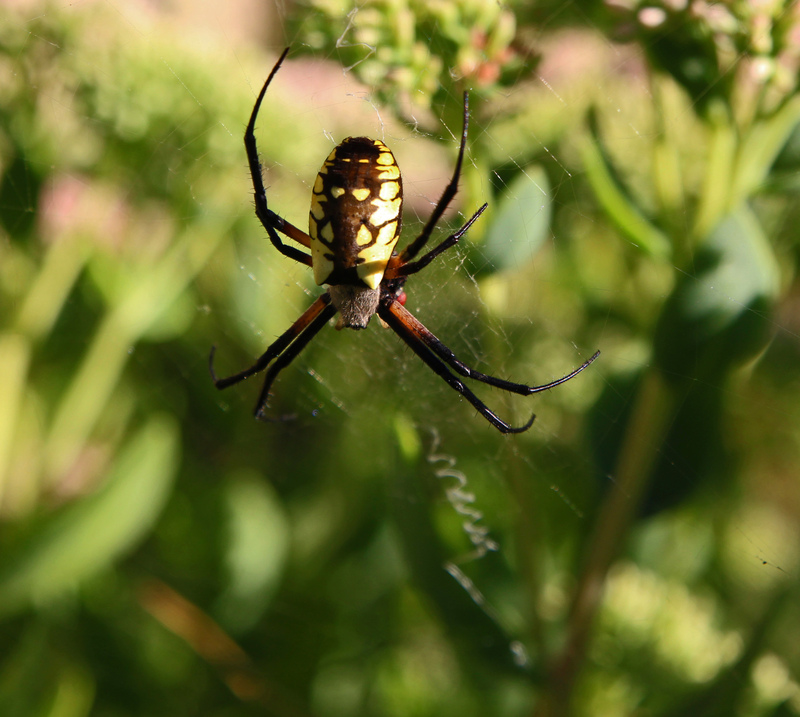 She is a Black and Yellow Garden spider (Argiope aurantia)- apparently quite common! Not too keen on the star of the photo. Great pic though. You can see every hair on his leg. Not scary at all, beautiful specks.